Expect book and writing updates, a recipe or two, information on upcoming events, random giveaways, what I'm reading, hints and tricks, and a bit of cozy chat. I promise never to use your information for anything except the newsletter and to never share your email with anyone else. 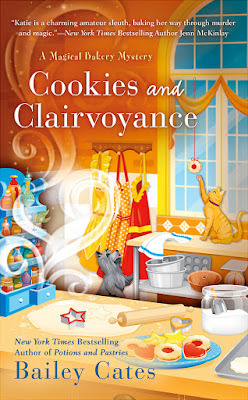 In the meantime, the next Magical Bakery Mystery is on its way! Randy is not only Katie's fiancé's coworker, but also the boyfriend of fellow spellbook club member and witch Bianca Devereaux. Bianca and Declan are both sure Randy is innocent, and so is Katie. However, to prove it she'll have to work with ornery detective Peter Quinn again—and this time around he knows she's more than your everyday baker. 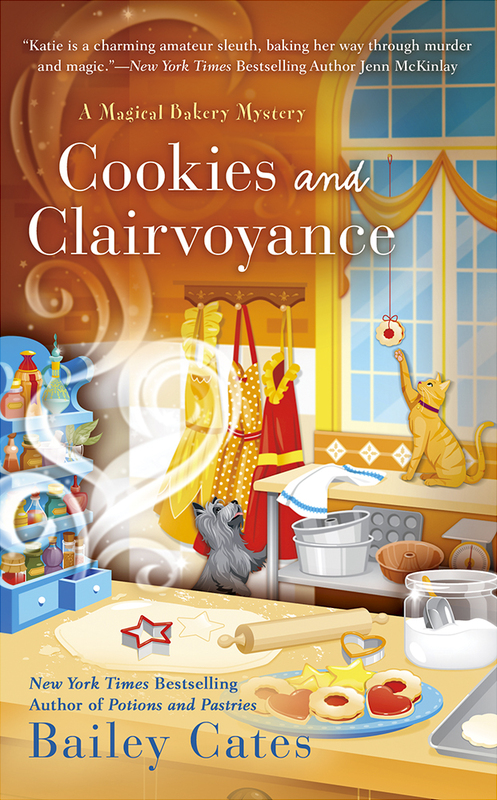 NYT bestselling author of the Magical Bakery Mysteries as Bailey Cates, the Enchanted Garden Mysteries as Bailey Cattrell, and the soon to be re-released Home Crafting Mysteries as Cricket McRae. I live in Colorado with my guy and Cheesecat the Orange, where I hike and bike, garden, cook, and write.